Online Business. How to submit your blog sitemap? After doing some onpage optimization steps on your blogspot which I have explained in a row, then it would be pointless and lacking SEO FRIENDLY if you do not do this. Why should the google webmaster? Sitemap (xml-sitemap) or a Sitemap is an XML file type contains a collection of data (content / article) that has been created and published by the blog's web site later in the index by spiderbot Search Engines (beginner style definition). In this context Sitemap is not the same as posting a link list page or list the contents of sites created for the purpose of facilitating visitors find the title of the article you are looking for. Rather Sitemap functioned as a means of referring robot Search Engine's so easy when the crawling process is done on the entire blog post without none are missed. Or if you want to read more Sitemap definition ala Wikipedia, please visit this link http://id.wikipedia.org/wiki/Sitemap. So the answer to the above question has been clearly illustrated in the above definition sitemap. In conclusion if the web / blog will be easily indexed google. How to Register Submit Sitemap actually in google webmaster for Blogspot has been much discussed by other bloggers, but it does not hurt us because we make the tutorial also presents the tutorial easier to understand and apply, especially for beginners. 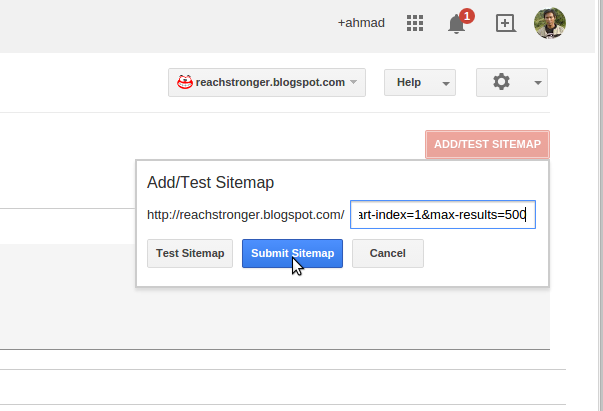 Before you submit your sitemap you should first submit and verify blog on google webmaster HERE. --There are a lot tutorial out there abou how to submit your blog to google webmaster, so do it first. 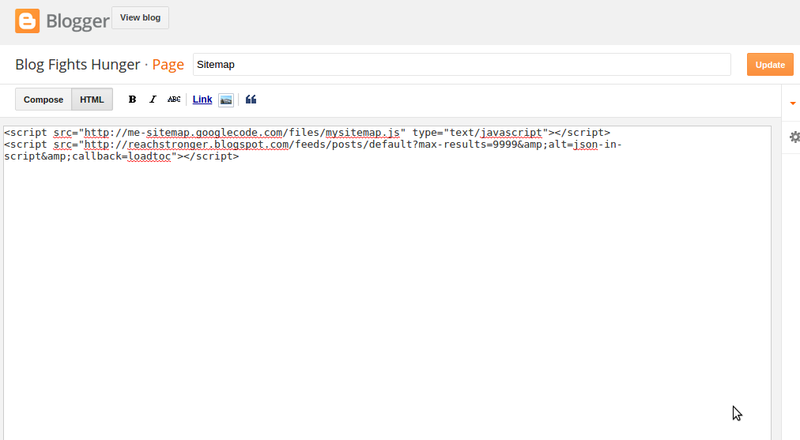 SO, you only need to copy one of some script below and the just paste it on ad test sitemap tab on google webmaster. # For more than 1500 blogs you can edit the script by yourself. 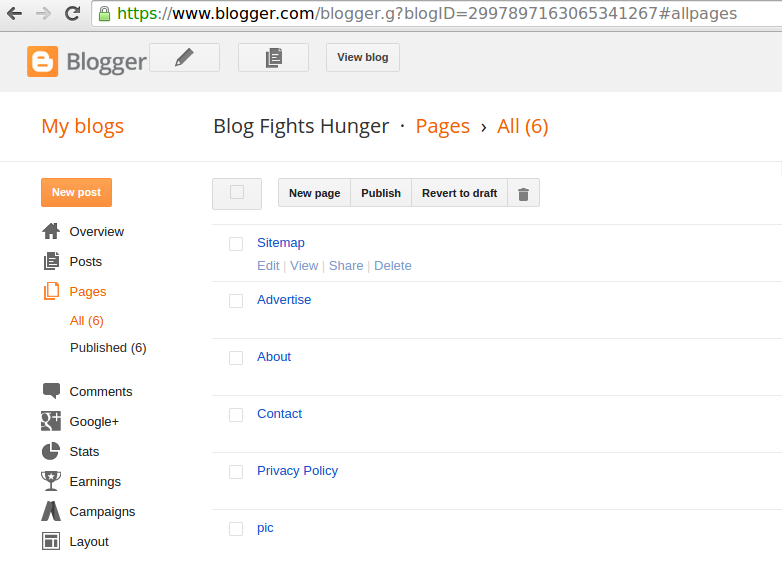 After you submit your blog sitemap, then you need to make a sitemap page on your blogspot. read this below. 2. How To Create A Sitemap? It is very easy, you just follow the tutorial below. 2. On the menu "page" click "New page"
4. Copy the following script on the page that you create. Change the blue text URL blog reachtronger with your blog URL.